The New Airoh Aviator 2.3 AMS² helmet is all what pros and lovers of adrenaline fuelled off-road rides are looking for them to be able to hit the dusty and muddy roads with absolutely no concerns. The champions never rest, there is always a new finish line to cross, a new challenge to overcome and a new track to race. 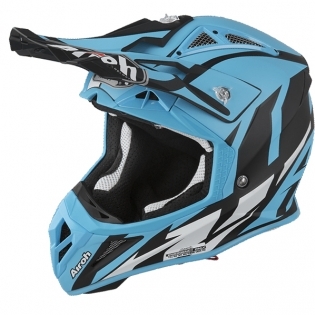 Aviator 2.3 AMS2 (Airoh Multiaction Safety System) is the new version of Off-Road helmets line, that introduces important technological innovations (patented by Airoh) and brings significant improvements to the riding experience as well rider safety: the result of all Airoh Helmet’s know-how, it is a unique model in the world that redefines the standards of comfort, breathability and protection. The total safety of Carbon Kevlar, a material that reduces weight whilst maximize protection, is paired with two systems patented by Airoh: A.E.F.R. 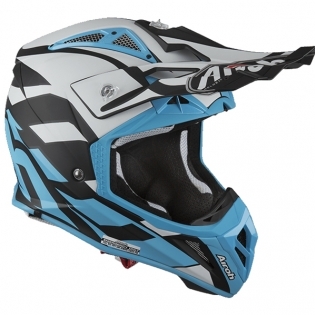 for quick removal of cheek pads and AMS2, that is the most advanced system ensuring protection against angular impacts, makes its debut in the Airoh Helmet range with Aviator 2.3 model. Another important aspect of the 2.3 version consists of the magnetic fastening system for the liners, that ensures a perfect lock in position as well as an easy removal. 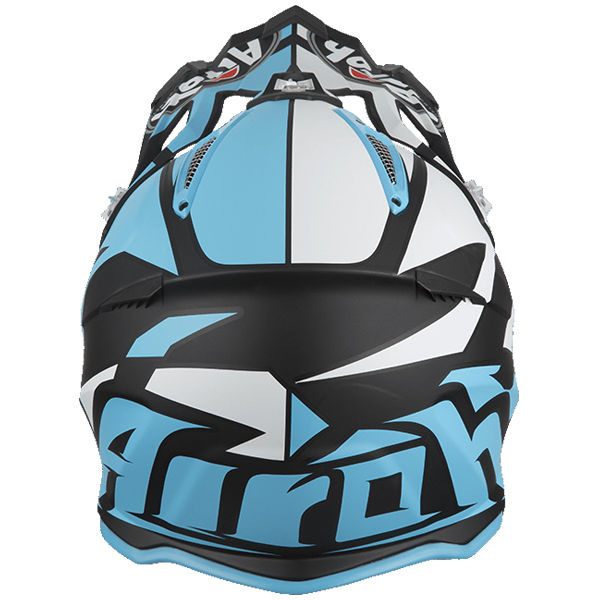 The Aviator 2.3 will stand out in every situation with a new range of striking and unique graphics and colors. The wide field of view, the ventilation system with front, top and rear vents, as well as a chin guard vent, complete the evolution of the new Aviator. The A.E.F.R (Airoh Emergency Fast Remove) is an emergency system for the rapid removal of cheek foams which further improves the safety of the helmet cross. 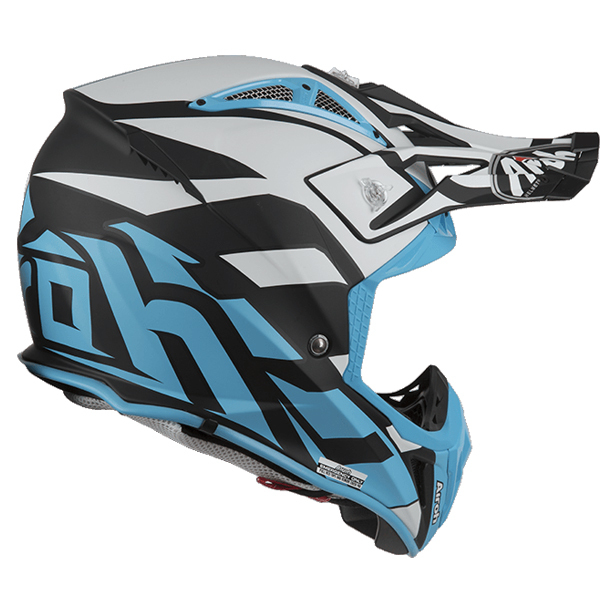 Smoked Transparent Peak Extension which attaches to the end of the existing peak - giving extra roost & mud protection. Vent covers to prevent water/debris entering top exhaust vents when in bad weather or sandy conditions. GoPro Helmet Mount specifically for the top of the Aviator 2.3.